Using illustrations from illuminated manuscripts, readings from literature and contemporary accounts, and the haunting songs and lively dance tunes of medieval England, Sarah brings alive the spirit of a Medieval Christmas, a time of joy and celebration for some, but hardship and suffering for others. With extracts from literature and manorial household accounts, she pieces together life in a medieval manor house at Yuletide. 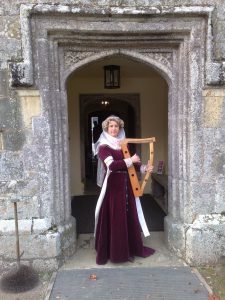 In addition to her reproduction medieval harps, she adds the plucked psaltery, hurdy-gurdy, hammered dulcimer, and gemshorn to the musical mix, performing carols, music and readings for an atmospheric and musical seasonal celebration. Sarah is a graduate and prize-winner from the Royal Academy of Music and in 2015 was elected an Associate. 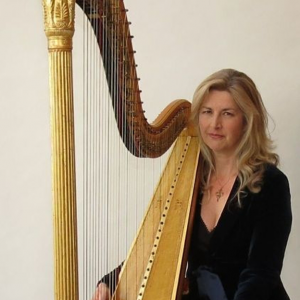 She performs, writes and lectures about the harp regularly in America, Australia, Europe and UK.